Canberra-based entrepreneur Stephenie Rodriguez has lived in Australia for 20 years, is set on raising her son here, but the founder of personal safety technology start-up WanderSafe has incorporated her business in the US. “Truthfully, the US is where the money is,” she said. Ms Rodriguez’s comments come after figures released by the Australian Private Equity and Venture Capital Association Limited (AVCAL) in September showed women make up just 11 per cent of senior roles across the investment landscape. Meanwhile research from PitchBook released earlier this year had revealed that female-founded companies still received only 2 per cent of global venture capital dollars. “We’ve been blessed to have angel money come out of Australia, but as we go through a seed round, good luck,” Ms Rodriguez said. 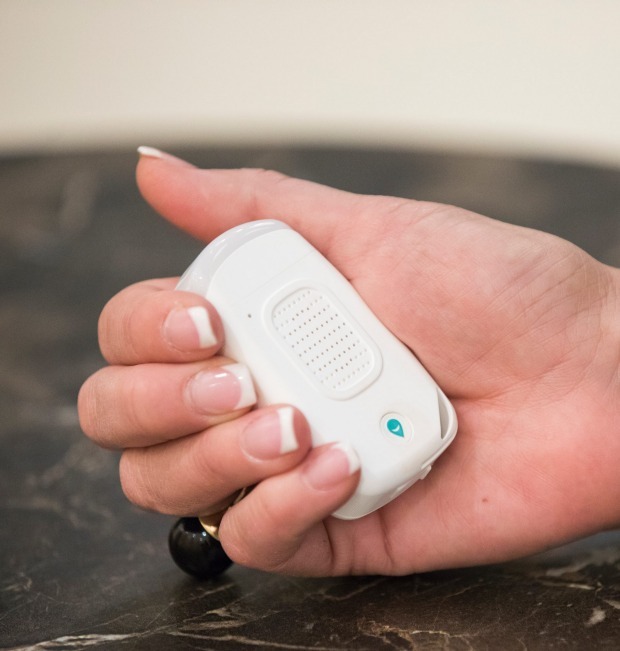 WanderSafe has created a safety device for women that can emit a 140-decibel alarm and a strobe light to disorient an assailant, as well as a blinding light. It was developed in conjunction with retired CIA senior security officer Thomas Pecora. As well as the device, the company has created an app that provides users with real time information on their surroundings and what areas are nearby crime hot spots. The app alerts users if they are about to enter an area considered unsafe, or if there has been a high rate of bag snatching, it will suggest wearing an over-the-shoulder bag. It can also offer suggestions on what types of taxis are safe to take and will alert you if there’s a breaking threat such as a terrorist attack. Thanks to a new partnership with Crime Stoppers International, it will also let users anonymously report crimes. Ms Rodriguez has been involved in tech since 1997, developing some of the Australian government’s first websites, and was inspired to create WanderSafe after she started a digital agency in 2006 and ended up travelling to 54 countries, often on her own. “I was often vulnerable with no information regarding where my hotel was, or when I was walking out of the hotel at night to try to find a chemist, so I wanted to solve a problem that no one else was solving,” she said. The venture has already been backed by local angel investors including Total Child Care Solutions director Fiona O’Donnell, Canberra angel investor Simone Fox and a private family office, raising $600,000. Crime Stoppers International director Sharon Hanlon said the organisation had a responsibility to stay ahead of the curve when it came to technology. “We know from experience that people are gravitating much more to a digital environment,” she said.